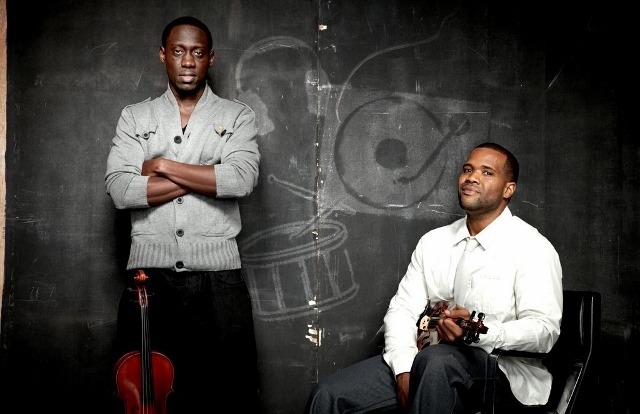 Clinic Synopsis: From Bach to Kanye: Duo Black Violin pair classical music with hip hop, defy stereotypes, and invite musicians to engage in musical exploration by playing outside the box. The NAMM Foundation Presents a Special SupprtMusic Coalition Event where host Mary Luehrsen chats with classically trained violinist Kev “Marcus” Sylvester and violist Wil “Wil B” Baptiste about their crossover sound, the music educators who influenced them, their history at The Midwest Clinic, and how to have the courage to stick with #musiced. Limited seating. Special LIVE performance. Lunch provided.